In a pilgrimage inspired by our Medieval predecessors, the Chartres Pilgrimage, and similar events around the world today, we walk 59 miles from Ely to Walsingham with the Traditional Mass, the Rosary, traditional devotions, chants, hymns and songs, to do honour to Our Lady of Walsingham and to pray for the conversion of England. 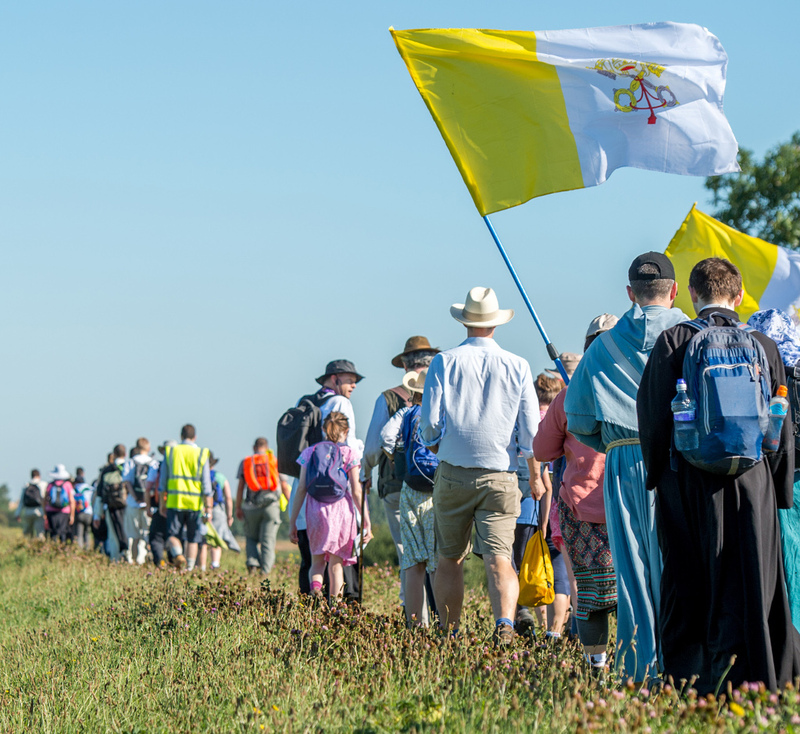 The pilgrimage starts with registration in Ely on the evening of Thursday 22nd August; and concludes with devotions in Walsingham on Sunday 25th August. There is an additional Mass for those staying Sunday night in the Slipper Chapel on Monday 26th August. This is the weekend of the August Bank Holiday. • Accompanied by priests, seminarians and religious. • High Mass (with deacon and subdeacon) on Friday, Saturday, and Sunday. • Sung Mass in the Medieval Slipper Chapel on Monday. • Specially created, re-usable Pilgrim’s Handbook with Mass texts, prayers, devotions, chants, and hymns for the road. • Proper evening meals created by our dedicated cooking team. • Support vehicles accompanying the Pilgrimage to carry heavy baggage and collect tired pilgrims. • Lifts, minibus or coach to and from Ely, Walsingham and London at the beginning and end of the Pilgrimage. 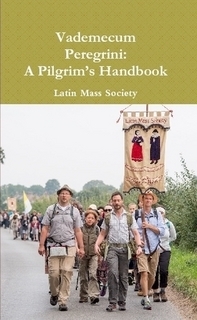 We have specially created a re-usable Pilgrim’s Handbook with Mass texts, prayers, devotions, chants, and hymns for the road. If you are unable to undertake the Walking Pilgrimage, for whatever reason, you are welcome to join a day pilgrimage by coach from London on the Sunday - 25th August. Getting to Ely on Thursday. Do you need...? Getting home from Walsingham. Do you need...?